It may have taken until the latter half of November to arrive, but it has to be unequivocally said that the solo rendition of ‘Merry Go Round’ this evening was the golden gig moment of 2015. Stripped of her band for a brief three minutes, the soul of this modern social classic was bared to a packed Royal Albert Hall. This show was the culmination of Kacey Musgraves’ latest of countless trips to Britain in the last couple of years and certainly the most eventful one for a multitude of reasons. She was totally smitten by the venue, emotional at times and fired up to show why her star has been rising recently right across the music spectrum. Let’s get the cliché out of the way by stating that the sound in this venue was exemplary leaving most others in its trail. However there was something lacking in its ability to create a warm and connective environment which is essential to lift live artist music to the pinnacle of a moving performance. Perhaps the venue was a little stuffy, vacuous in its design and matters were certainly not helped by an unsatisfactory hour long wait between the support act finishing and Kacey entering the stage to the fabulous sound of ‘Pageant Material’. From a fairly decent sized sample of eighty plus shows this year, this was the longest gap between performances and in my opinion is treating a ‘smart phone engrossed audience' with contempt. One of the endearing features of Kacey Musgraves is her attempt to re-establish the ‘western theme’ amongst a contemporary crowd’s insistence to hairbrush the term from the genre. 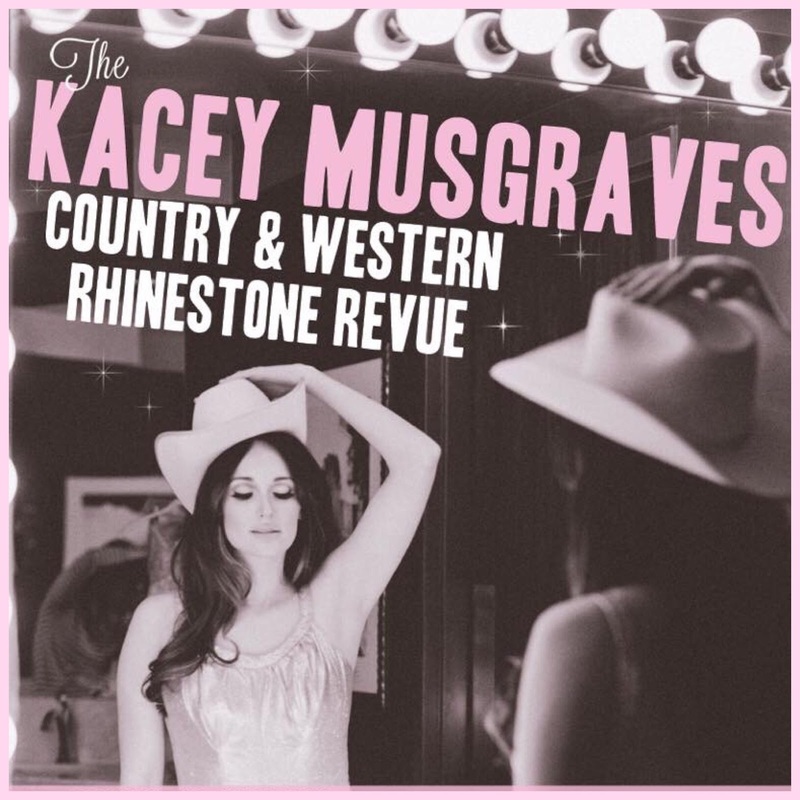 So fair play to the strapline ‘Country and Western Rhinestone Revue’ matching the visual style and band ethos that goes some way to defining her sound and stage performance. With reference to the band, their role in a Kacey Musgraves live show is to remain a little distant and for a large part this works well enabling the super songs to own the spotlight. Pedal steel remains the most prominent component and also we did witness on a couple occasions – ‘Die Fun’ and ‘These Boots are Made for Walking’ – the band being let off the leash with appealing affect. We know Kacey is going to evolve musically, so why not in a rock ‘n’ roll direction. So much more preferable to any hint of pop. Kacey’s show in Manchester last year, in my opinion a far more inspirational and moving evening, was the start of the leap from SAME TRAILER DIFFERENT PARK to PAGEANT MATERIAL with the journey being finally completed in 2015. Ten of the thirteen tracks, excluding the Willie Nelson duet, from the new album made the set list this evening with ‘High Time’, ‘Fine’ and the aforementioned ‘Die Fun’ being the notable live versions to emerge from the show. The album remains a firm favourite among the throngs of laudable 2015 releases and listening to the songs live through this sound quality strengthened the appeal of the record. A handful of songs from the previous album reminded folks of the impact of this debut major release with ‘Follow Your Arrow’ heading the popularity stakes. From a personal angle, ‘Silver Lining’ sounded better and a surprise candidate in the guise ‘It is What it is’ joined the expanding group of stand-out songs from the show. There were a number of content similarities between last year and this year’s gigs. ‘Happy Trails’ remains the group vocal-single mic finale, the Nancy Sinatra tribute complete with sparkling footwear adds to the glamour and the TLC cover ‘No Scrubs’ appeals to certain strands of her fan base a little distant from yours truly. The Kacey co-write–Miranda hit ‘Mama’s Broken Heart’ made a welcome re-appearance as well. Interestingly a steel soaked version of Coldplay’s ‘Yellow’ made a drab song a little more palatable, but please audience no waving illuminated phones at one of my gigs – thank you. All evening Kacey’s vocals were on top form and she continues to emerge as an assured entertainer. Inspirationally she remains work–in-progress, but is one of the good gals doing things the right way in the murky world of mainstream country music. This genre term is a much mangled art form in the chase for the dollar/pound and it is refreshing that Kacey Musgraves acts as a counter balance from within. Prior to the irritating and seemingly unnecessary hour long wait, Sugar and the Hi Lows played a thirty-minute opening set. They came across as a competent outfit and were unfazed by the surroundings. They were a little synonymous with some of the modern pop-rock that rolls out of Music City these days. At least they veered away from ‘Folsom Prison Blues’ with their Johnny Cash cover in choosing ‘Jackson’. Without recalling the titles of their songs, the penultimate number had the most appeal with its rock ‘n’ roll feel, while the closing Otis Redding inspired number headed out of the exit pretty quickly. 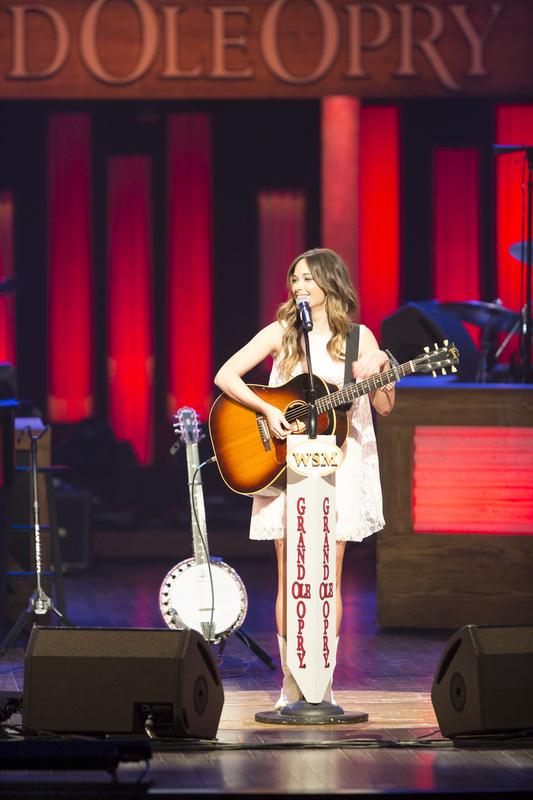 Without hitting the impact heights of seeing her show for the first time last year, time and investment spent in seeing Kacey Musgraves at the Royal Albert Hall was still a worthwhile activity. She remains a treasure and will be a shining light in whatever creative direction her music takes. The next appointment with a UK audience is at C2C in March next year and it will be interesting to read how her set there is interpreted by key scribes. Meanwhile she can play anywhere for me, with just a slight preference to a venue with a renewed soul.